35 things to love about Prince Edward Island. This list could easily have been titled “1001 Things To Love About Prince Edward Island”. That is how much we love this little slice of Canadian heaven. 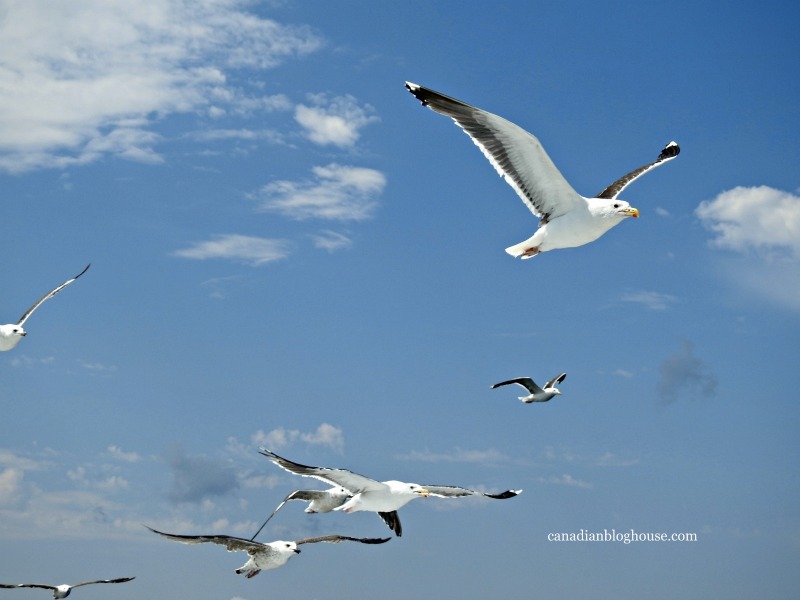 We had the chance to head back to Prince Edward Island for a week last summer. While the reason for our visit was a sad one, we were grateful for the chance to spend more time on this island that we love. If you’ve ever had the opportunity to visit Prince Edward Island, chances are you feel like we do. There are just so many things to love about this maritime province, right? Prince Edward Islander’s are some of the loveliest people I have ever met. I have yet to meet an Islander I didn’t like. 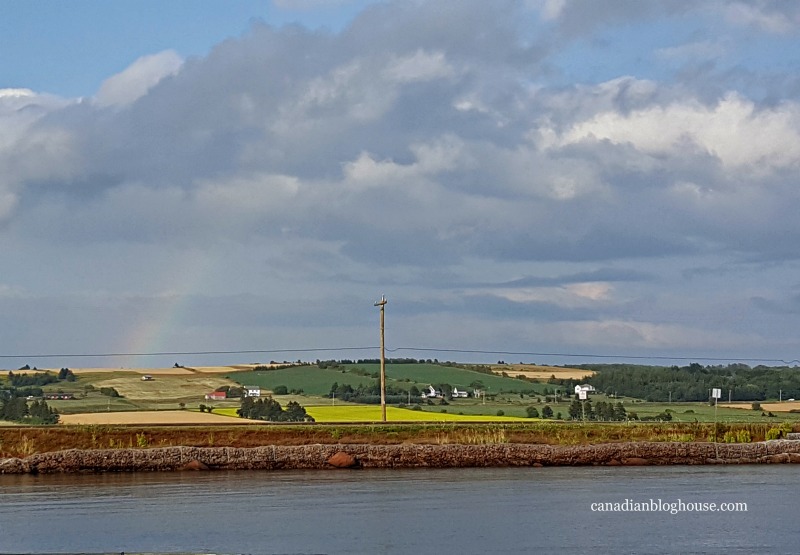 There is nowhere I have ever vacationed where I have felt more at home – while away from home – than in Prince Edward Island. Islanders have a special way of making you feel like that long-lost beloved cousin they haven’t seen in years. My suggestion for a slogan for Prince Edward Island says it all… Come visit 147,000 of your closest cousins this summer! Every province in Canada needs a week like this! Happening each August since 1888, Old Home Week is an annual tradition for Islanders who travel from far and wide, to come home, and experience one of the most anticipated events of the year. During Old Home Week, Charlottetown plays host to a variety of agricultural competitions, community activities, horse racing, musical performances, and a fun fair. 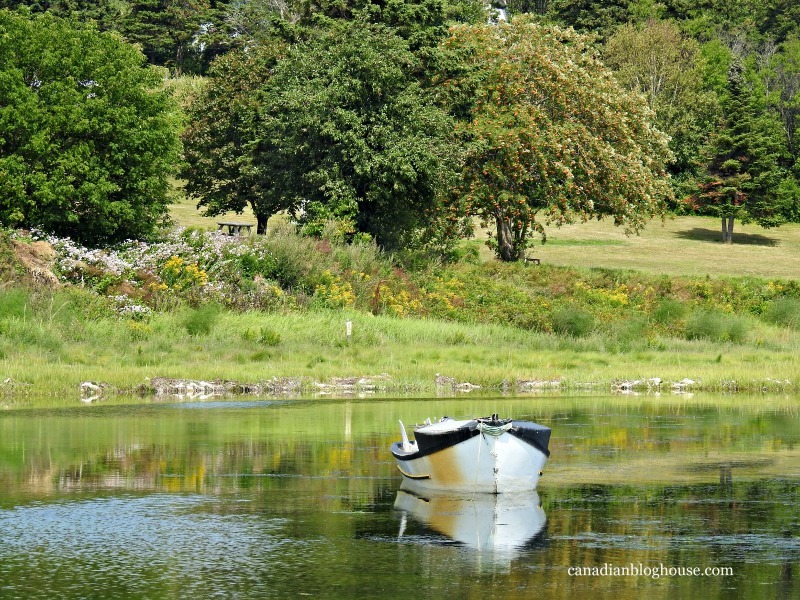 Old Home Week is a wonderful time to visit Prince Edward Island – with one caveat. Old Home Week is a busy week on the island. But…if you love the fun and excitement of a good ol’ family reunion, this is your week to visit PEI! Islanders will gladly make you an honourary family member during Old Home Week! You’ll fall in love with the colour red in PEI. That’s because red is everywhere. Red earth, red beaches, red sand, red sandstone, red dirt roads, red-tinged pavement, and of course, the red in Anne of Green Gables‘ hair! You’ll come home from PEI wishing your dirt was as pretty as PEI’s! 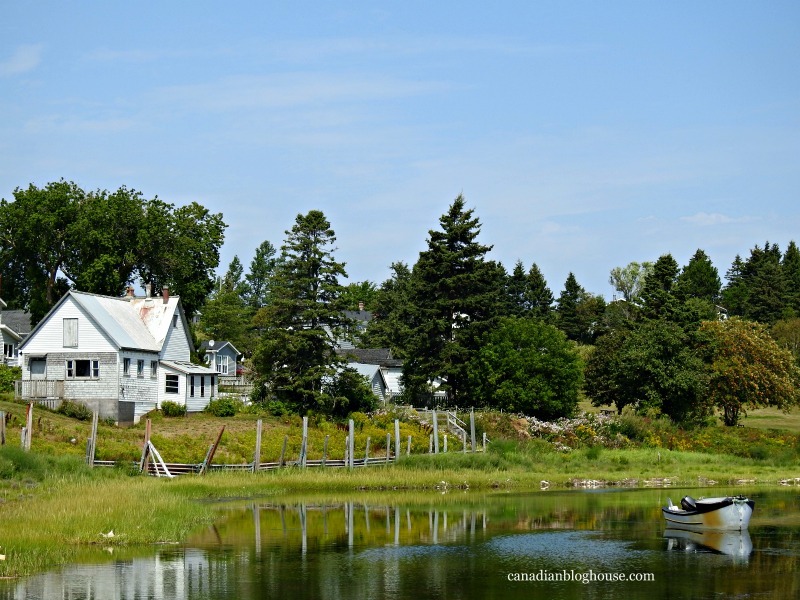 Ontario prides itself on being the home of “cottage country” in Canada, however, Prince Edward Island is the place to rent a cottage while on vacation. 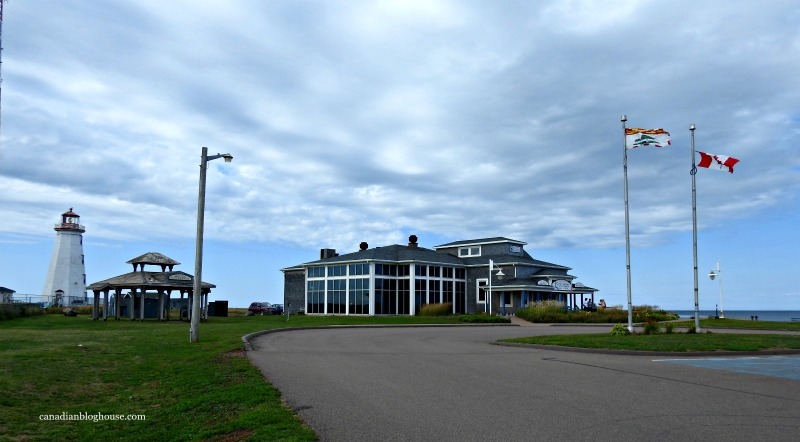 Whether you love to vacation by the seaside, at the top of a hill overlooking a beautiful vista, or nestled deep in the quiet interior, Prince Edward Island has a large selection of cottage rentals to meet your family’s needs. Prince Edward Island is made for road trips. Rent a car and see the island! With 5,656 square kilometres (2,184 sq miles) of land area, and only 280 kilometres (175 miles) from tip to tip, you can easily explore the entire island by car, or at least a large portion of it, while on vacation. Oh how I wish all airports were like the Charlottetown Airport. While this airport has its busy times (such as during Old Home Week), overall, the Charlottetown airport is small, super easy to navigate, security line-ups are bearable, and rental car options are easily accessed. All-in-all, a very stress-free airport experience. 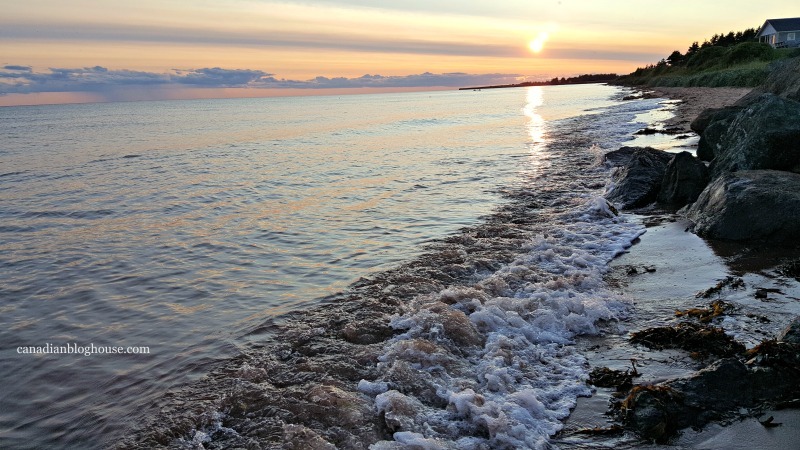 Whether you love the gentle waters and red sands of the southern shore, or the rolling surf and white sands of the northern shore, Prince Edward Island has a beach for you. With 1,100km of shoreline, you’ll find plenty of options for beach time at the island’s national and provincial parks. 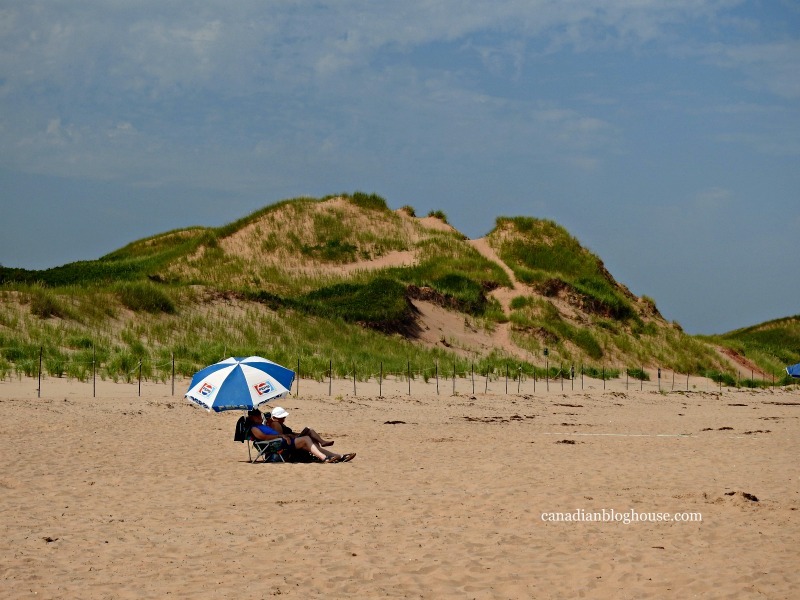 Speaking of sand, Basin Head Provincial Park is home to the “singing sands” of Prince Edward Island. Listen to the sand “squeak” as you walk the beach. Basin Head’s singing sands are the result of high amounts of quartz and silica in the sand. It is here at Basin Head Provincial Park that you will find some of the warmest waters north of Florida! The window of time you have to see the lupins in Prince Edward Island is short (mid-late June), but if you get a chance to visit during lupin season, you will be amazed. While they may be considered a “nuisance weed” to some islanders, we happen to love these beautiful coloured flowers. There’s something magical in the air – and on the lawns – all over Prince Edward Island. We love the beautiful scent, and gorgeous colour, of Magic Carpet Thyme, a ground cover often found on lawns, and in rock gardens, on the island. We discovered you can pick up some Magic Carpet Thyme at Canada’s beloved seed store, Veyseys, which is located a short 10-minute drive from Charlottetown. We are hoping to smell the sweet scent of Magic Carpet Thyme on our lawn this summer! Everyone knows that Prince Edward Island is a major potato producer. Think “Bud the Spud”. If you are lucky enough to visit the island during potato season, you’ll witness plenty of rolling fields full of potatoes, and you may also find yourself following behind some pretty impressive potato harvesters and equipment. Love french fries like me? Don’t miss your chance to drive by the Cavendish potato processing plant on one of your road trips. Be sure to open the windows and let that delicious smell waft into your car. 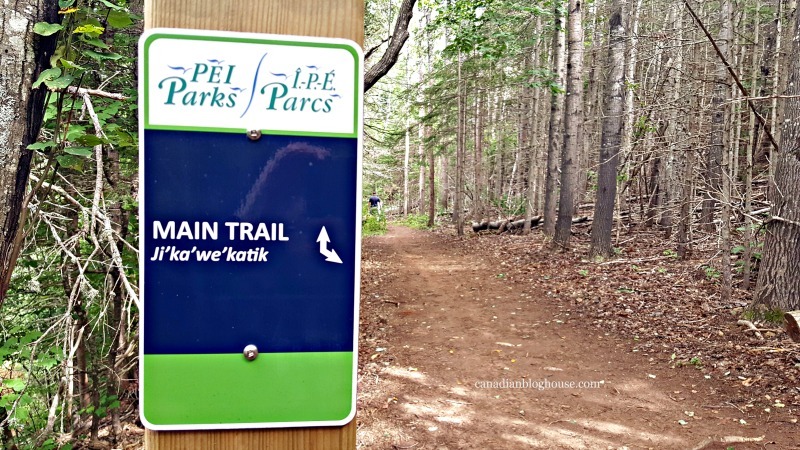 Prince Edward Island has (what seems like) endless hiking trails, including the 435km Confederation Trail (part of the Trans Canada Trail) that stretches from coast-to-coast and all points in between. 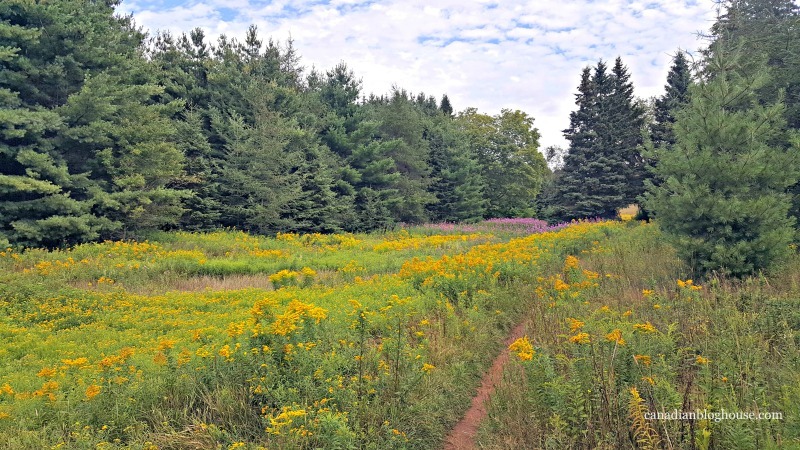 During our most recent trip to PEI, we spent a morning hiking at Bonshaw Hills Provincial Park, and loved checking out another unique island landscape. Fun on Prince Edward Island doesn’t stop at the end of summer. For outdoor winter enthusiasts, Prince Edward Island offers some great winter activities, such as alpine and cross-country skiing, snowboarding, snowshoeing, and fat biking, at Brookvale Provincial Ski Park. 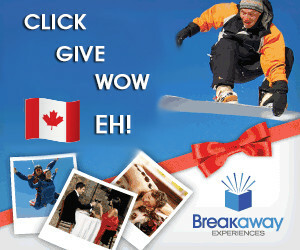 Bet you didn’t know you could go downhill skiing on Prince Edward Island, eh?! Although flying to Prince Edward Island for your vacation is fast and convenient, a fun way to arrive on the island is via the Confederation Bridge. You’ll be able to say you crossed the longest bridge in the world that crosses ice-covered water! You’ll arrive on the island at Borden-Carleton, home to Gateway Village, featuring a visitor’s centre, shops, restaurants, a gas station, and a liquor store. It does not matter where you wander on Prince Edward Island because every route is a scenic route on this island. PEI has some of the most beautiful coastal drives in the world. 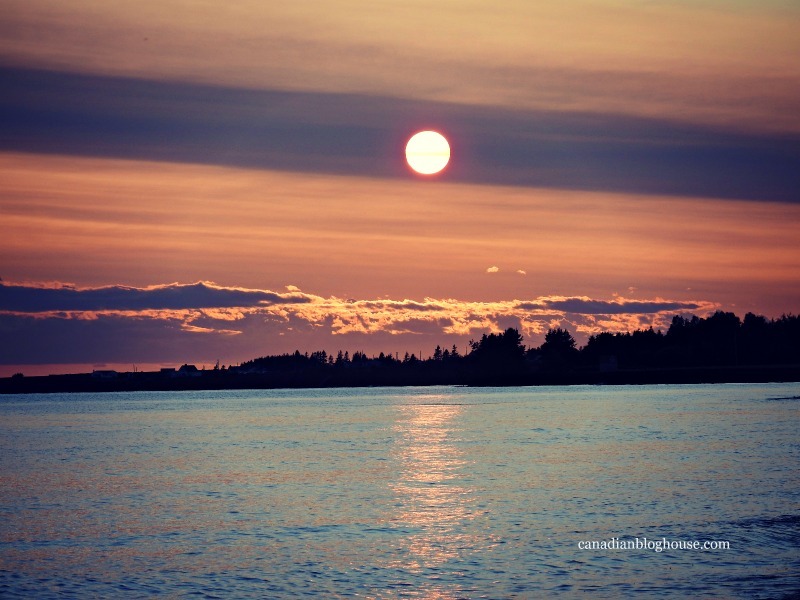 Yes, Key West sunsets are spectacular, however, Prince Edward Island is home to some stunningly beautiful sunsets of their own. 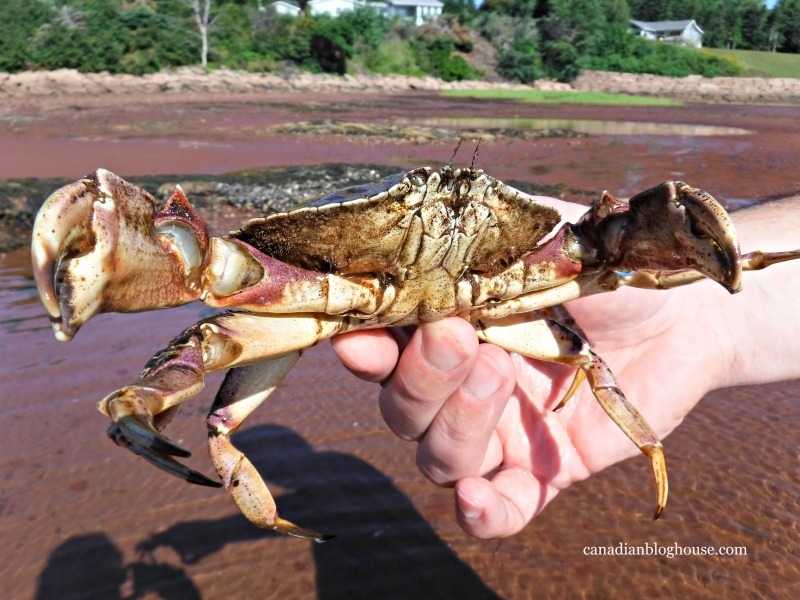 If you love seafood, I guarantee you, you’ll love the seafood diet in Prince Edward Island. 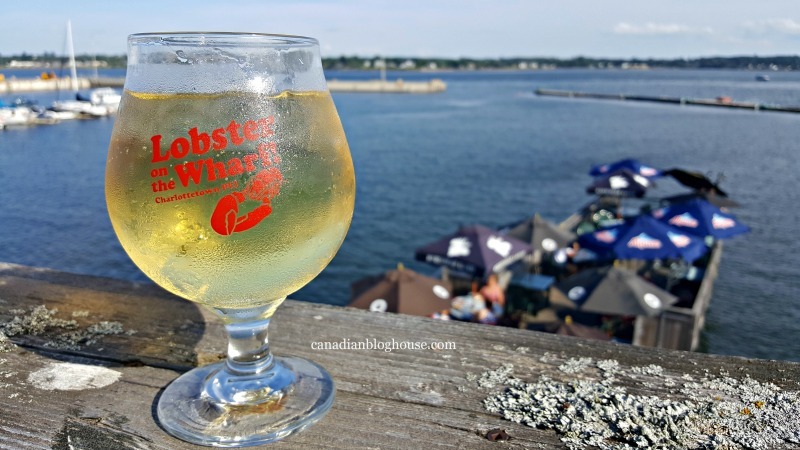 Our favourite seafood restaurants include Lobster on the Wharf, and Peakes Quay in Charlottetown, and Beachcombers on the Wharf in Victoria-By-The-Sea. You cannot visit Prince Edward Island without taking part in one of their famous “lobster suppers“. Most notably, the New Glasgow lobster supper. Grab a lobster bib, your shell crackers, and enjoy a seafood feast like no other. You won’t go home hungry! When in Prince Edward Island one must go deep-sea fishing. Strap yourself into your seat and fish for tuna like my cousin once did. Try not to end up swimming with the fish while trying to land your catch. My cousin hooked a massive tuna, with the help of my uncle, but not before almost falling overboard! 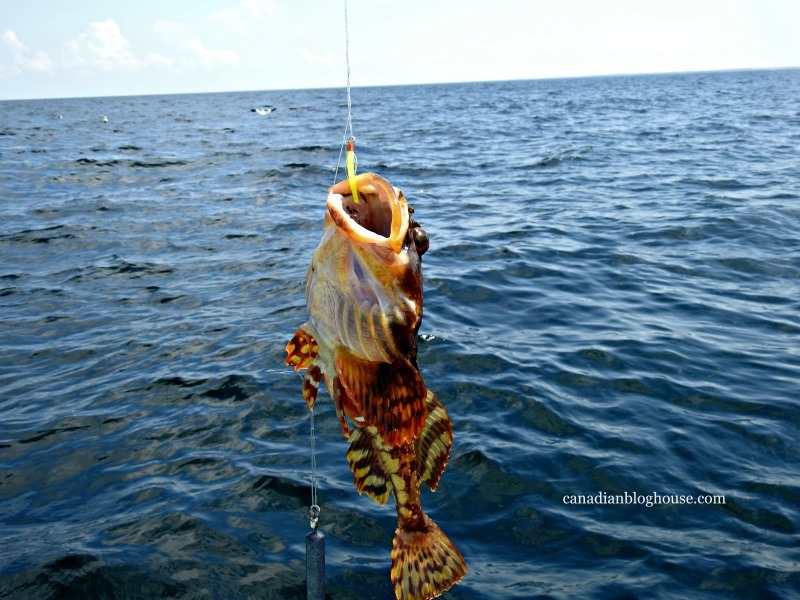 If that much excitement isn’t your thing, stick to deep sea fishing adventures with Joey’s, like we did, where you can enjoy fishing for smaller fish like cod and mackerel. 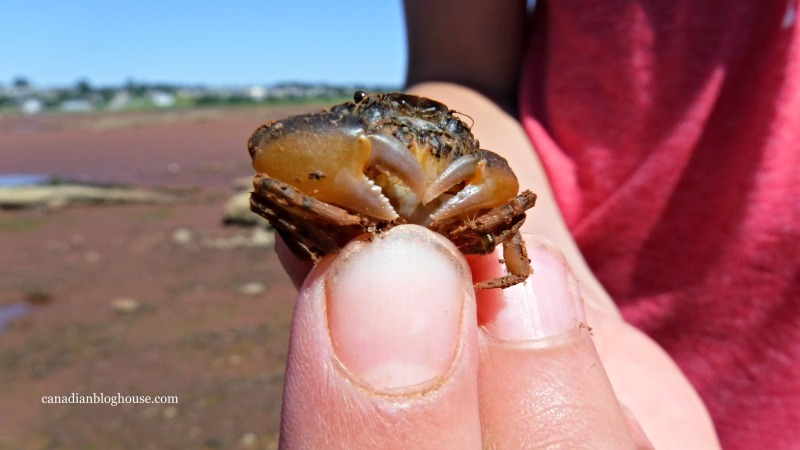 The gentle waters of Prince Edwards Island’s south shore make for great beachcombing, and provide shelter for a bountiful number of interesting sea critters and creatures – like the Rock Crabs we caught on the shores of Tea Hill Beach. If you are lucky, you will also find starfish, mussels, flounder, hermit crabs, jellyfish, and other sea life. 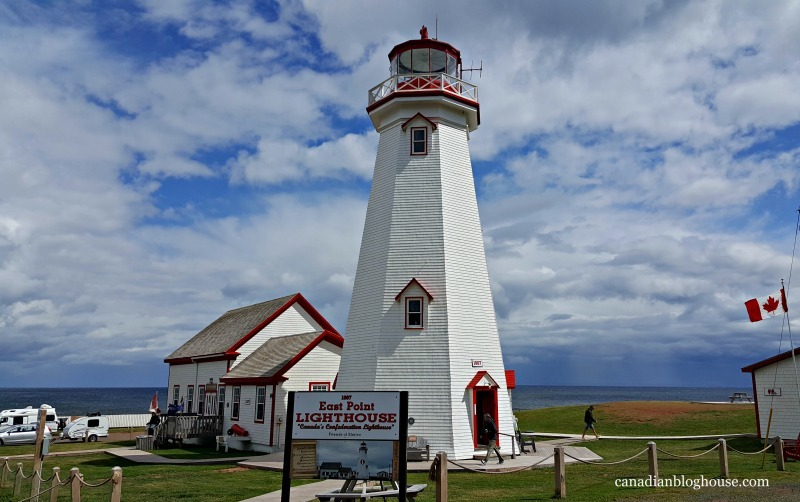 Lighthouses have a long and storied history on Prince Edward Island. 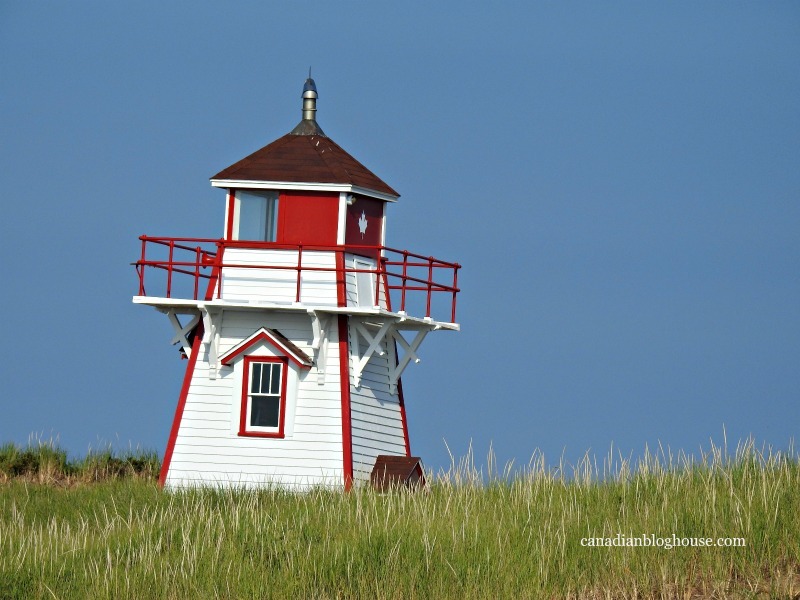 Red and white lighthouses, of various shapes and sizes, dot the coastline of PEI. Some lighthouses are still working as beacons of light, keeping mariners safe. 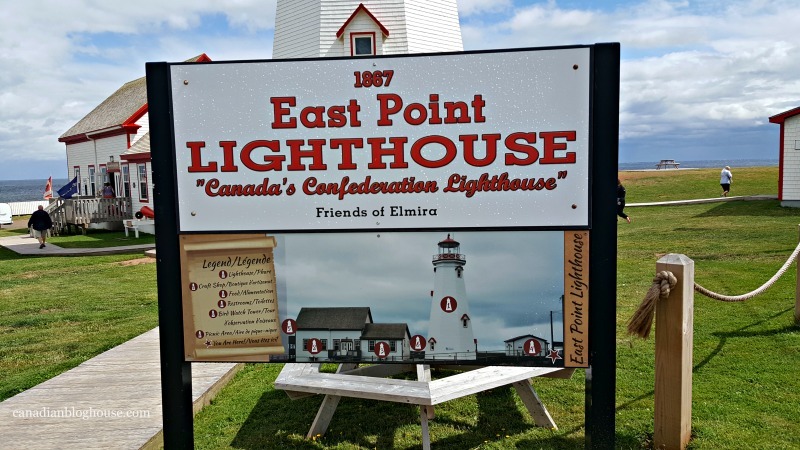 Others, like the East Point Lighthouse, serve as maritime museums and provide visitors with a chance to climb to the top for spectacular panoramic views. 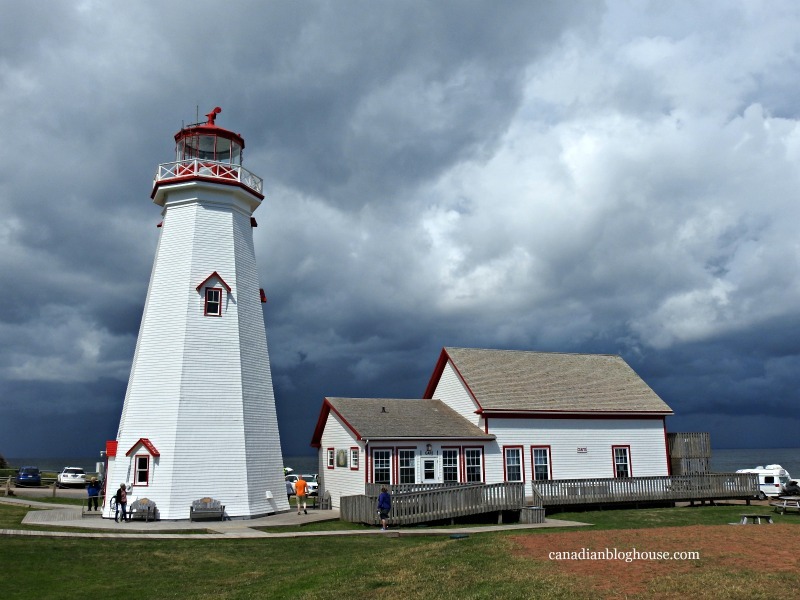 A visit to Prince Edward Island’s North Cape is a must-do coastal road trip. 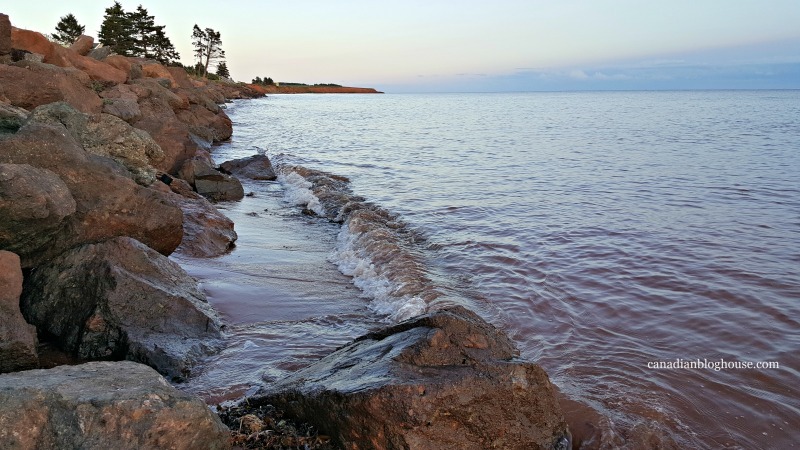 It is here that the waters of the Gulf of St. Lawrence and the Northumberland Strait meet, forming a fascinating sight of two bodies of water colliding with one another. 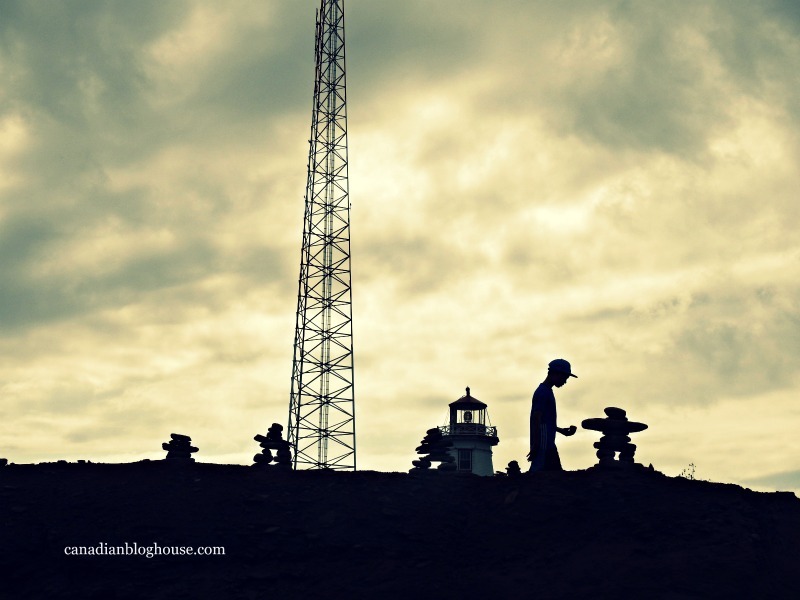 At North Cape you will find an interpretive centre, restaurant, gift shop, wind turbines at the Atlantic Wind Test Site, and a chance to build your own inukshuk along the red shoreline. Whether you are religious or not, you will marvel at the beauty of all the white churches, representing several denominations, that you will see along the highways and byways of Prince Edward Island. Maritimers are known for their kitchen parties/ceilidhs. If you get the chance, don’t miss the opportunity to sit in on a local ceilidh. Your toes will be tapping along in no time! Music is in the blood of many islanders, so it’s no surprise to learn that Prince Edward Island was the birthplace of The Festival of Small Halls. It was in PEI where I had my first taste of this festival, listening to the impressive Matt Andersen from inside the walls of a majestic white PEI church. We love sampling local beers, wines and spirits when vacationing. 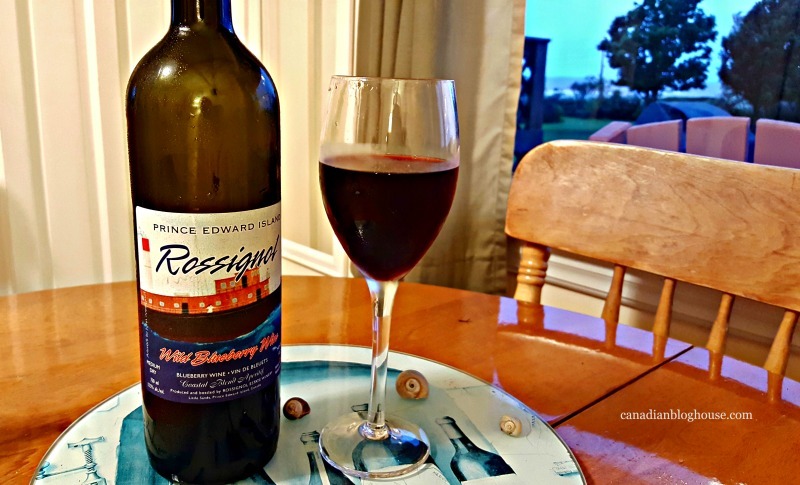 Prince Edward Island is home to one of my favourite fruit wines – Rossignol Wild Blueberry Wine. Oh, how I would have loved to have been able to bring a case of this delightful wine home. The Prince Edward Island Brewing Company produces some of our favourite Gahan craft beers. 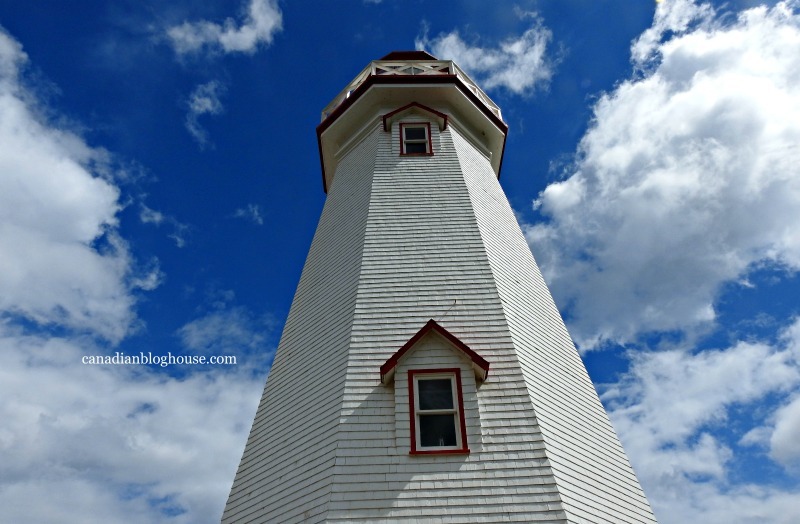 On my “must-visit” list for next time in PEI? Taste-testing Mead (honey wine) at the Island Honey Wine Company. With several locations across the island, Prince Edward Island’s Cows Ice Cream is a PEI favourite. We can’t visit the island without a stop at this iconic ice cream shop. Delicious flavours go hand-in-hand with a fun gift shop featuring colourful and whimsical Cows apparel designs. Cows Ice Cream is moo-valeous! 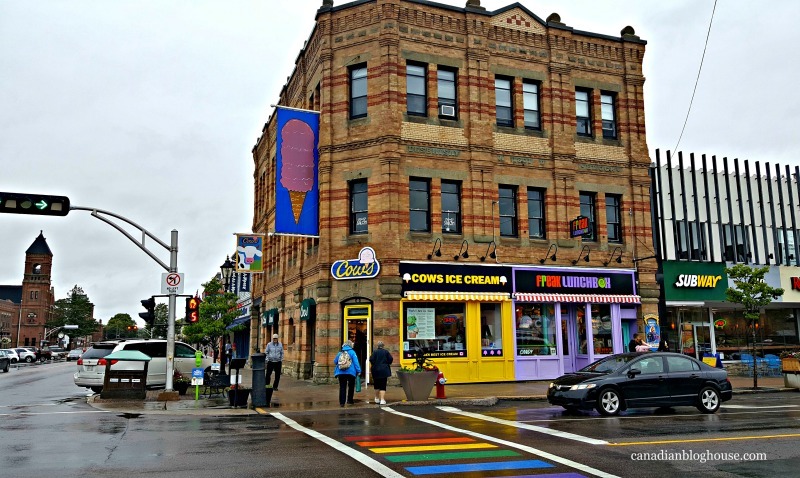 Charlottetown, the capital of Prince Edward Island, and the Birthplace of Confederation, is a small city nestled on the south shore of the island. 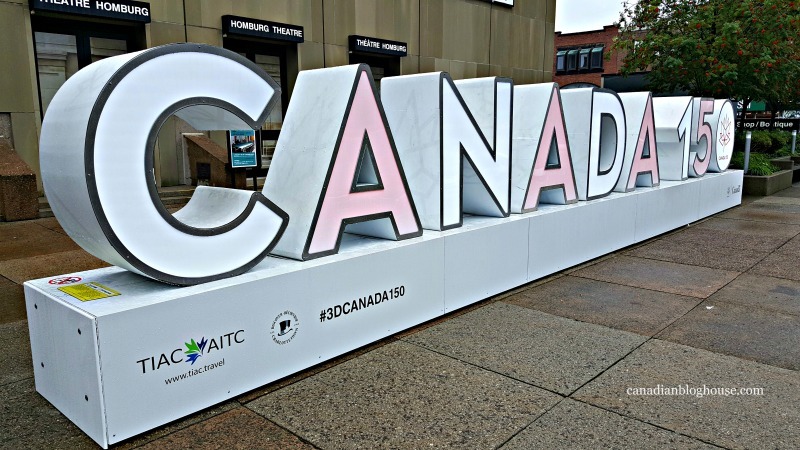 Stop by Province House for a photo opp and then head over to Confederation Centre of the Arts to learn more about Charlottetown’s role in Canada’s Confederation. Love cars and watching stock car races? Don’t miss the chance to visit the Oyster Bed Speedway, located in Oyster Bed Bridge, just a short drive from Brackley Beach, PEI. 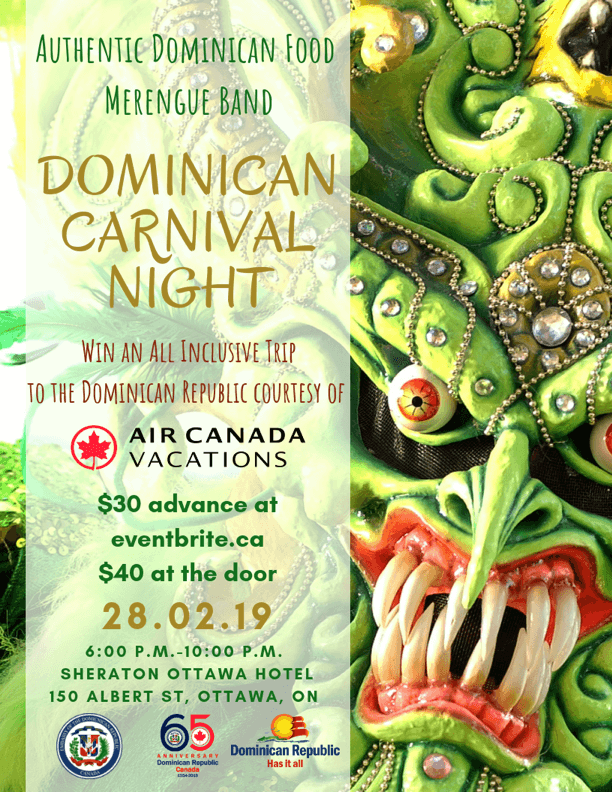 Take a seat amongst the locals, and get your motor running with an evening of fun, and fast-paced excitement for the whole family. An evening at Oyster Bed Speedway was a highlight for X-Man, during our first trip to PEI. His beloved late grandfather, who was born and raised on the island, had a knack for knowing exactly what X-Man would love to do – watch stock car races! 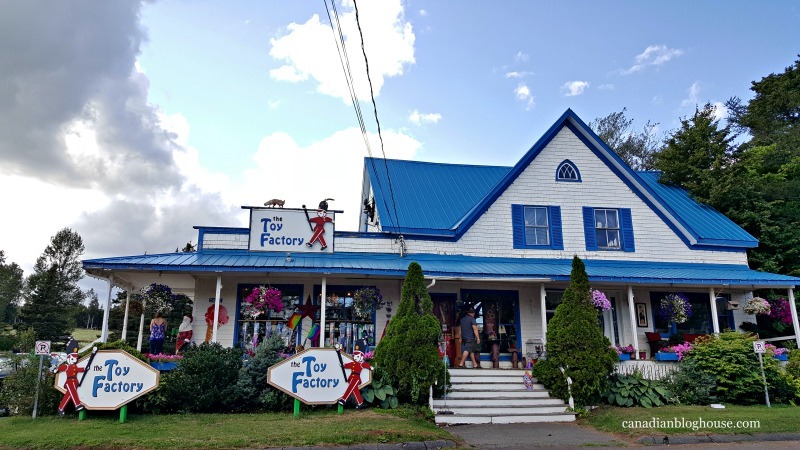 Fun for kids of all ages, The Toy Factory is worth the drive to New Glasgow. Housed in an old general store that was built in 1847, kids will love this toy store, stocked with traditional handmade wooden toys, and so much more. A beautiful gift shop located on St. Peter’s Bay, St. Peters Bay Craft & Giftware features high-quality pewter gifts. At select times you can watch demonstrations, take a tour, and meet the “Master Caster”. We love Gaudreau Fine Woodworking…not for the woodworking…for the handcrafted pottery. Featuring potter’s from Prince Edward Island and other Maritime provinces, this shop has a huge selection of beautiful pottery pieces to choose from. Got kids? A visit to Cavendish is a must. This “quirkier” side of Prince Edward Island is home to plenty of fun attractions for the whole family. In Cavendish, you’ll find several motels, shops, restaurants, and of course, the home of Anne of Green Gables. Don’t forget to dip your toes in the water, and dig your feet into the sand at Cavendish Beach! A Canadian icon, Stompin’ Tom Connors was born and raised in Skinner’s Pond, Prince Edward Island. While on your drive up to the North Cape to see the wind turbines, be sure to stop in for a visit to the Stompin’ Tom Centre, featuring exhibits, a gift shop, food service, entertainment and more! Modeled after a similar attraction on Vancouver Island, Prince Edward Island’s Bottle Houses feature over 25,000 recycled glass bottles constructed into miniature houses. Built by Édouard T. Arsenault, the first Bottle House opened to the public in 1981 and has since become a popular PEI tourist attraction. 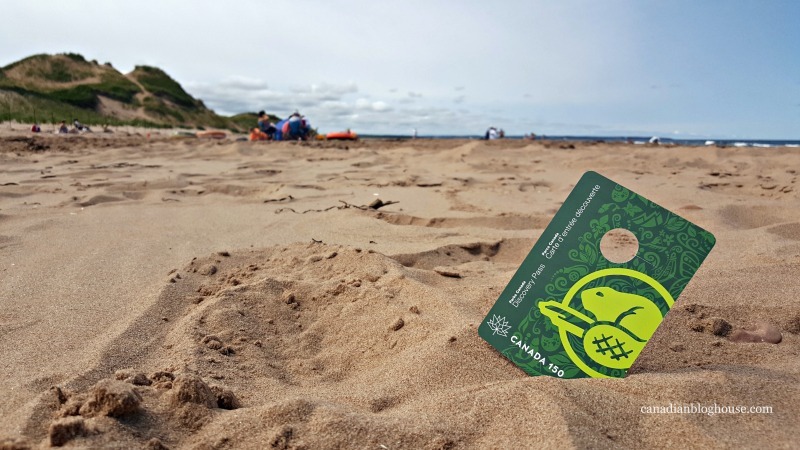 There’s no better place to find sea glass than on the shores of Prince Edward Island. PEI’s southern shore provides visitors with ample opportunities to collect sea glass while beachcombing. We managed to find enough sea glass during our week in PEI for us to fill a large vase with white, amber, green, blue, and purple sea glass. A great activity the whole family can enjoy together! What do you love about PEI? Share some of your own things to love about Prince Edward Island in the comment section below! Wow, reading this brought back so many memories of why I loved living on the Island. Your mention of the Confederation Trail reminded me that I “bought” about a foot of it during a fund-raising for it when I lived there. 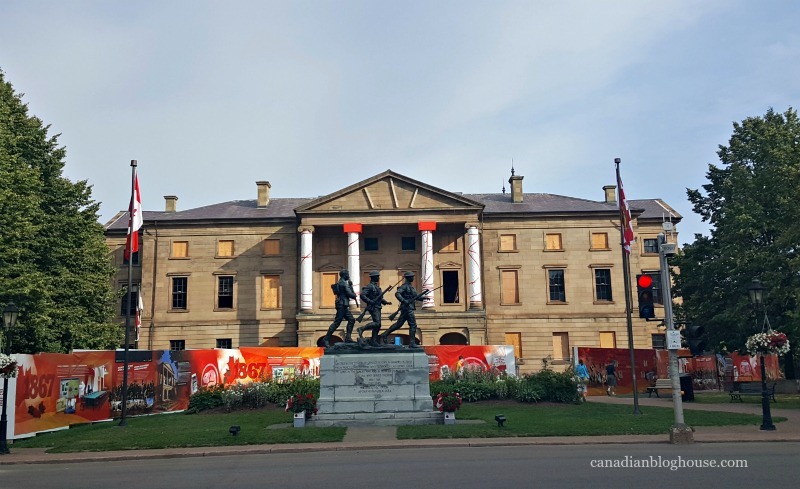 You certainly did PEI proud with this article…love it!. I’m so glad it brought back good memories for you, Lyse! That is so cool about the Confederation Trail! I almost bought a foot of that way back when but never did. So that means your name must be listed somewhere there. Must look next time! Thanks for your kind words! That means a lot coming from you! What a fantastic representation of P.E.I. We are so blessed to call this our home <3 . This should be published in out P.E.I. Tourism Brochure ! Oh my goodness! Thank you for such a lovely compliment, Christine! That means a lot to me. Thank you for reading! What a great picture of PEI. These are some of the reasons we go back each year. Thanks so much Gisele! I’m sure your trip back each year is the highlight of the summer for you and your family. I hope you have another great trip this year! Thank you so much Carol! Very kind of you to say! Thank you for reading my post! Sandy what a great article. You captured The essence of our Island ! We really enjoyed your visit and hope you can come again. Thank you so much, Marlene! I am so happy to hear that. It was so great to see you again. We WILL be back one day! Thanks for stopping by! Such a wonderful tribute to our beautiful Island. Thank you so much, Pat! That means a lot coming from an Islander like you. Thanks very much for stopping by! Also, New Glasgow Lobster Suppers sounds like an epic restaurant. I will admit, part of my wanting to visit the Maritimes is to experience an authentic lobster dinner, heh. A supper here sounds truly delicious! 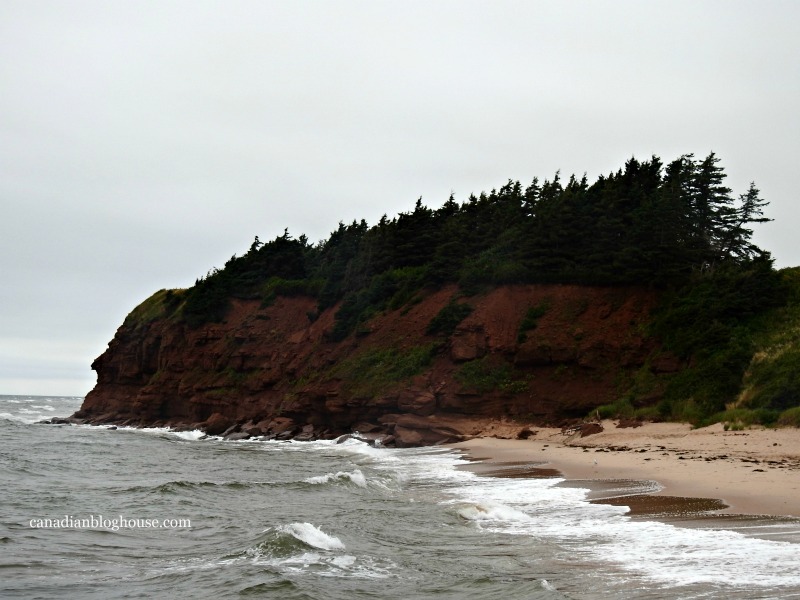 Sandy, what beautiful photos of PEI…and I love your top 35 list! My husband and I have been talking for years about visiting PEI, but we’ve not made the trip yet. I really would love to see Canada’s east coast, especially during the summer to enjoy the beach! Thanks so much, Jenna! I really hope you and your family get the chance to visit PEI sometime soon. I know you and your kids would love it there. Thanks for stopping by!! There are so, so many things to love about PEI and I agree you could easily make a list of 1,001 things! We live in N.B., so not too far away and have been lucky enough to have visited this little slice of heaven numerous times. I would pack up and go again tomorrow if I had the opportunity, it is such a wonderful place! There sure are, eh Monica? You live in a beautiful province too. Glad you’ve had the chance to visit PEI numerous times. I’d love to live close enough that I could escape there for long weekends 😉 . Thanks for stopping by! Your pictures are insane – Sandy!! I have never been to PEI yet!! I have been wanting to get there for many years now. Maybe this summer…The seafood alone would be reason for me to visit and love it too. Love your slogan. There’s so much to see there and truly the landscape is photogenic. Looks like you had an amazing visit. Thanks so much, Paula!! I have many more where those came from. PEI is made for photography! I do hope you get there for a visit. You and your family would love it. And yes, the seafood is spectacular! Thanks for stopping by! Coming here is definitely on my bucket list. I love your comprehensive list. You had me at food and sunsets!!! Thanks Maya! Yes those are most definitely two great things about PEI! I hope you get the chance to visit one day! Thanks for stopping by! I love this, Charlotte – the red dirt gave it away! I’m a big fan of the red roads! Thanks for stopping by! More great things and great ideas, Ruth! Thank you for adding those! You are so right, the lovely farms – there are so many! I actually just found out about the farm experiences. I love that idea! I’m all about experiences! And yes, I love swimming at both the north shore and south shore. Never swam in a lake or river there. Must try that next time. I agree about the camping as well. Camping close to the water is wonderful! Thanks for stopping by! One place that wasn’t mentioned for seafood was the “Shipwreck Point Cafe” in Naufrage. I promise you……..this restaurant is a MUST and if you do go, you will definitely be planning your next visit as you’re walking out the door. This restaurant is only open during “the season” so plan accordingly. Oh Karen that sounds fabulous! I’ve never even heard of Shipwreck Point Cafe. That’s definitely going down on our list for next time! Thank you so much for stopping by to share this tip with us! I agree Karen! Food is fantastic , the place is very homey. 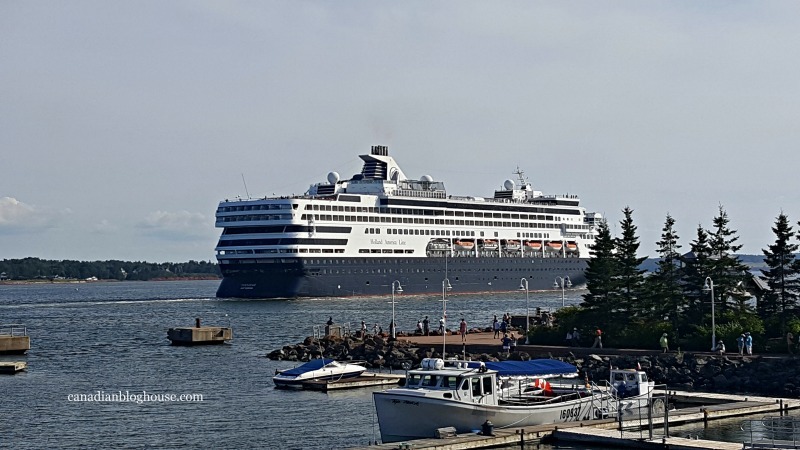 We take a trip out there from Charlottetown couple times each summer. I have been trying to get to the East Coast for so many years I can’t count. This coming July/August I will finally get there. After reading your article and looking at your photos, I really can’t wait. Bookmarked it so I can reread and check all your places out when I get there. Thanks for doing this. Ohhhh! I’m so happy to read you will get the chance to visit PEI this summer, Judy! You will love it! I hope you have the most wonderful trip when you go! Thanks so much for reading and stopping by to comment!! I have family on the Island. The Reeves …My daughter and I visited and traveled all over the island. What a fabulous place.. We visited a lot of famous places..The atmosphere is wonderful. 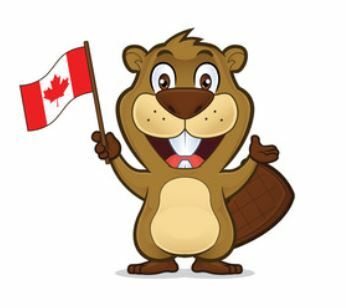 The people we interacted with were fabulous, friendly and helpful…and the red sand… wow, so different than Manitoba..
Cindy, I just love the way you named your family that you have in PEI – like people would know who you are speaking of. But that’s just it…people who read this might, in fact, know your family that you speak of. It seems like everyone in PEI knows one another. I know that’s an exaggeration but, not as much as one might think. I’m so glad you’ve had a chance to visit, and with your daughter. What a special trip that must have been! Sounds like your experiences were very similar to ours. Yes! I love that red sand…and even the dirt is “pretty”. Thanks so much for stopping by to share your comments! Hi Doreen! Thanks so much for stopping by and for your kind words! We really are fortunate to live in such an amazing country. I hope we both get the chance to head back to PEI again soon! I feel privileged to have visited PEI if only for a day a few years ago. It whetted my appetite to return for an extended stay…on my bucket list! It was the first day of school after Labor Day when I was there. There was a small family of children by the roadside waiting on the bus. I sooo wished I had something from Kansas to give the little boy for show and tell. We are originally from PEI and after 50 yrs away we decided to spend our last years on our Island.So we moved back and haven’t regretted it for one minute.I can’t wait to show it off to visitors. Oh my goodness, Viola! 50 years away? I love that you’ve gone back home. I can’t think of a better place to retire to. Wishing you many happy years to come in PEI. Thanks for stopping by! How true Sandy..wonderful PEI memories circling my head now. I loved my visits to this unique little island staying with friends at Goose River and feeling like an honorary family member. A visit to Greenwich was always a highlight and Naufrage and St Peters Bay. Catching The Fiddlers Sons concert and Ceilidhs at the Log Cabin. Fishing. 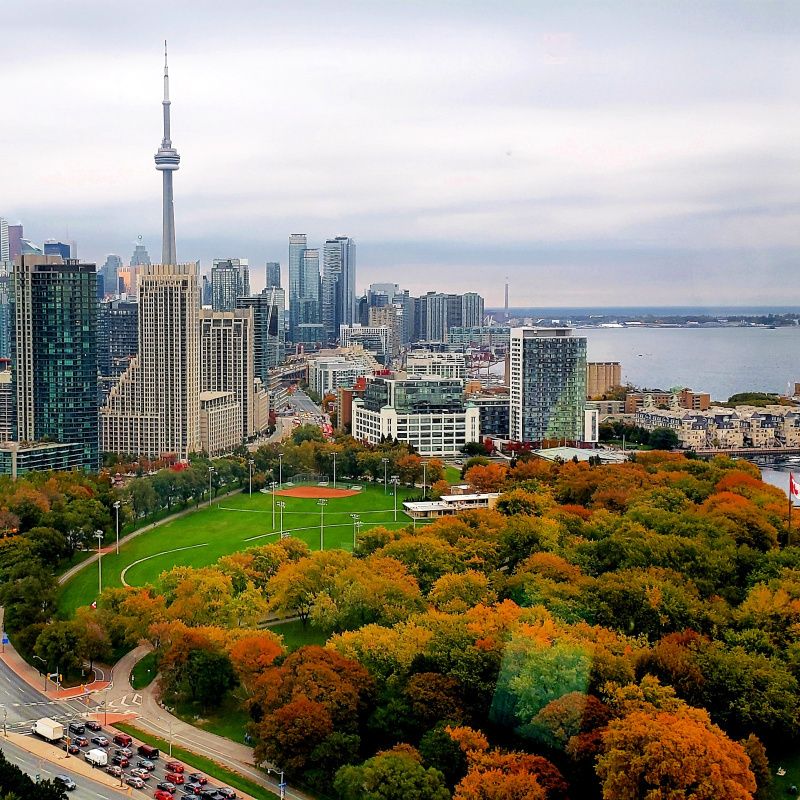 The autumn colours…wow. Timbits. Seafood Chowder. Eagles. All amazing for an Aussie. All etched into my heart. Oh, I love your memories, Meredith! Plus, you’ve given me ideas with others. Goose River. Must look that up. Don’t know what part of the island that is located in. I love that you felt like an honorary family member! That’s exactly how I have always felt there. That’s a pretty special feeling, especially when you are so far from home. Sounds like you did some pretty wonderful things when you visited PEI. So glad you’ve had the chance as well. Hope you get to come back one day. My bucket list includes your wonderful country! I hope to get there one day. Thanks for stopping by to share your memories, Meredith! Great article! I love PEI, have been visiting Brackley Beach every summer for many years. Such a relaxing spot with a beautiful beach so close by. Another great spot to visit in Brackley Beach is the Great Canadian Soap Co. If you have kids, they will enjoy seeing the goats and it is interesting to see how soap is made. Will not be able to visit this year due to illness but will be there in spirit! Thank you Charlene! So glad you enjoyed it! Lucky you getting to visit Brackley Beach every summer for many years. Sounds wonderful! 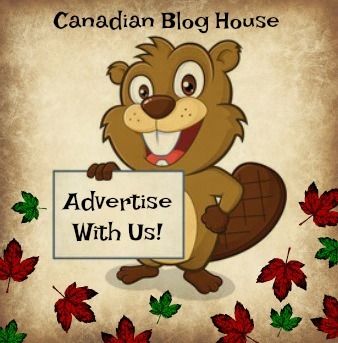 Thanks so much for the tip about the Great Canadian Soap Company. I’ve heard of them but, have never been. Goats?! I love goats! Can’t believe I have never been there. Adding to my PEI bucket list! I’m sorry to hear you are ill and won’t get a chance to visit PEI this year. I sure hope you can return next year! Thanks for stopping by! Thank you Sandy for presenting “my” Island in such a positive light. I feel most fortunate to have lived my entire life in this wonderful place. We love showing off our beautiful home to so many visitors”from away” each year. My pleasure, Mike! How lucky you are to have lived your life on that beautiful island. That’s wonderful that you show it off to so many visitors every year. I’m sure you are a great ambassador! Thanks very much for taking the time to read my article, and for stopping by to comment. Appreciate it! As a lifelong Islander, I think perhaps what we love most about “the Island” is that our families and friends continue to love coming home every summer. Our Island community seems to have a little bit of magic that tends to pull people back to their roots. 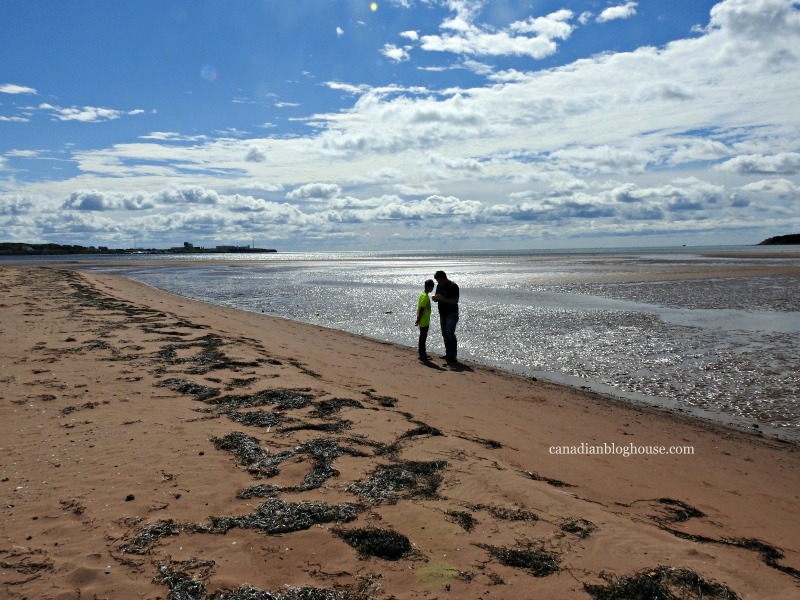 Thanks for the lovely photos …..they really capture PEI beauty …..and brings to mind the peace and tranquility of the tides, where everything seems to be just a little bit slower and people have time to say hello. I love your second paragraph, Carol. So well described! What a wonderful thing – a place that makes families and friends want to return year after year. That’s something special right there. Thanks for stopping by to share your thoughts! My friend and try to visit PEI once every year, to visit friends and for the music, going to live plays and relaxation. Our favourite place to visit each year. That is fabulous, Judy! A great thing for two friends to do! 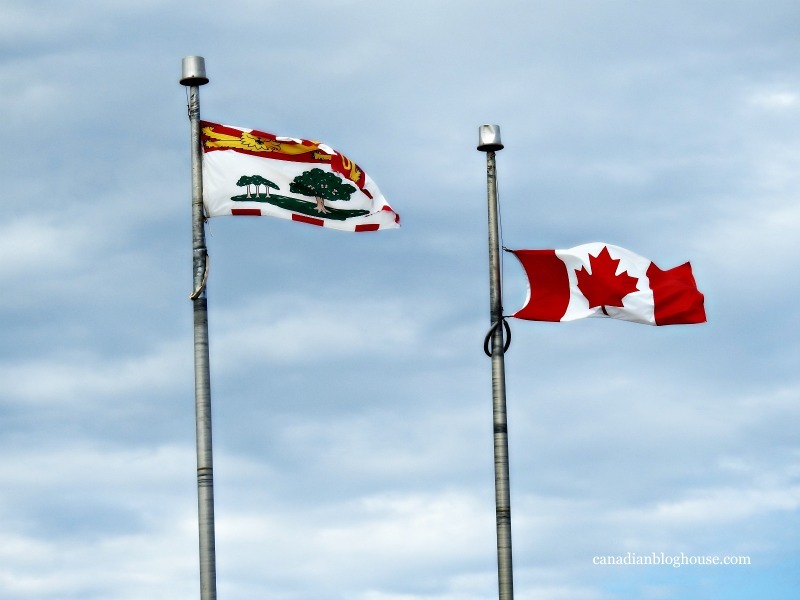 Music and live plays…more wonderful things to do in PEI! Thanks for stopping by!! Hubby and I have been going to PEi since 2013 and all that you talked about is true. We did a lot of the stuff mentionned. This summer we’re going back to the bottled houses. The beaches and friendliness of the people there. My sister and I visited the Island in September of 2017, because of my love of Anne of Green Gables. One of my favorite stops was to the Table Culinary Studio in Kenningston for their Farm to Table class. I’m bringing my husband to the Island in July and not surprising, staying at The Beach House and Johnson Inn where I stayed before. We will also be seeing Anneof Green Gables-The Musical because I saw Anne & Gilbert. Seaglass hunting is a fun filled activity for all ages. 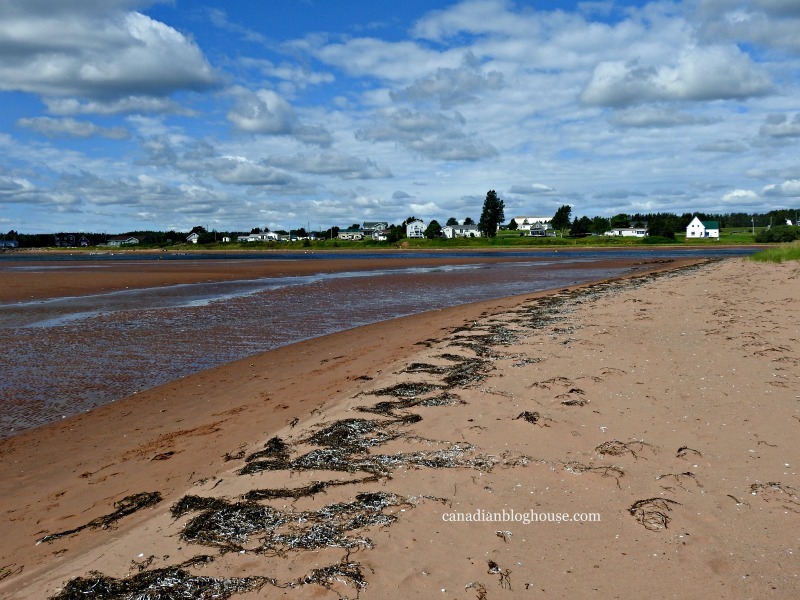 Souris Beach is the best seaglass beach on PEI. Beautiful shallow water and red sand make picking seaglass here a wonderful experience.